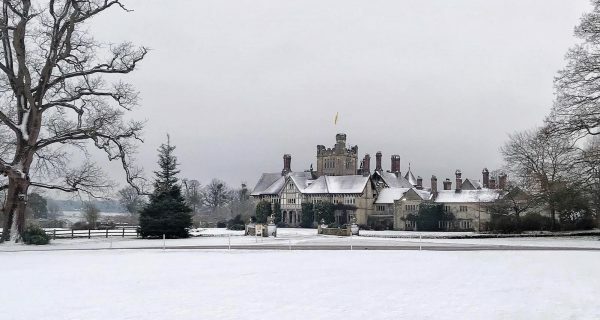 An overnight stay at Cowdray House. 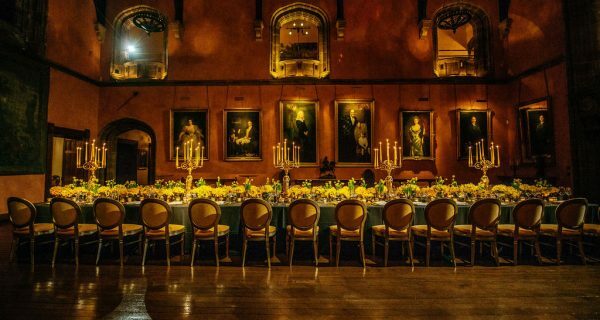 Buck Hall was transformed by florist Karen Watson, This Floral Life and her team who created the most stunning backdrop for an evening hosted by top class event planners, Moriarty Events at Cowdray House last week. Once the guests had settled into their rooms they made their way to the the grand wood panelled Dining Room for an introduction from the Bear Grylls Survival Academy before heading outside to enjoy an afternoon of ‘Survival’ in the gardens and parkland at Cowdray House. Activities included learning navigation skills using the time, setting up camp in a race against the clock and rifle shooting. The afternoon concluded with a Bush Tucker Trial which involved three volunteers tasting delights (if you can call them that) such as a live meal worms, a Vietnamese water beetle and a tarantula! Guests were treated to afternoon tea served from the Coco Dining Van, where homemade cakes, sweet treats and snacks were all sourced from the Cowdray Farm Shop were on offer. Nyetimber English Sparkling Wine and beautiful music from a pianist in Buck Hall greeted guests before heading through to the Drawing Room where delicious canapes were served by Jacaranda Catering. Starter: Wild mushroom and roasted onion consommé, Parmesan gnocchi, pickled shimeji mushrooms with white onion puree and nasturtium. Main: Fillet of beer, shin croquette, butternut fondant, pea puree, white asparagus and jus. Guests were later invited to enjoy Cowdray House’s very own bowling alley.